I'm not a fan of dogs, but those sure are cute! Peter LOL i know what you mean on dogs.. i used to work at a vet clinic and taught a dog obedience class for years but the "dog people wore me out of it" after that i got into invertebrates and reptile and have never looked back. Never have to worry about the scorpion wetting the rug or the tarantula howling all night keeping up the neighbors prefect pets! with that said pugs are barely dogs they are almost bugs they sweet little balls of fat with the disposition of a rhino beetle grub. lol I have a group of friends we get together every other night and look for bugs swap invert photos ect and everyone has a pug so when i went dog looking it seemed to fit .... the dogs seem to be the excuse for bug hunting but hey it works. 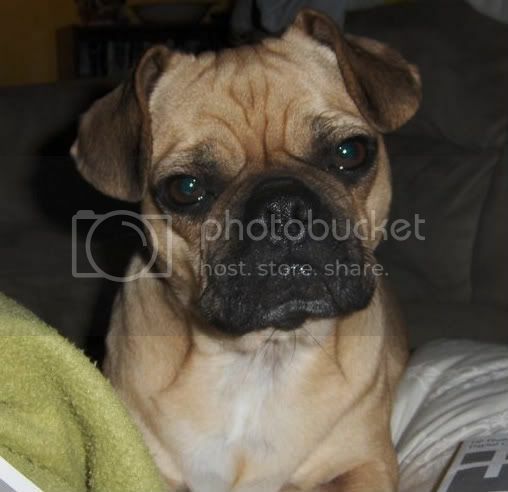 Bluefrog post me a pic of your puggle! Good luck on your pug search it is tuff to find a good one. 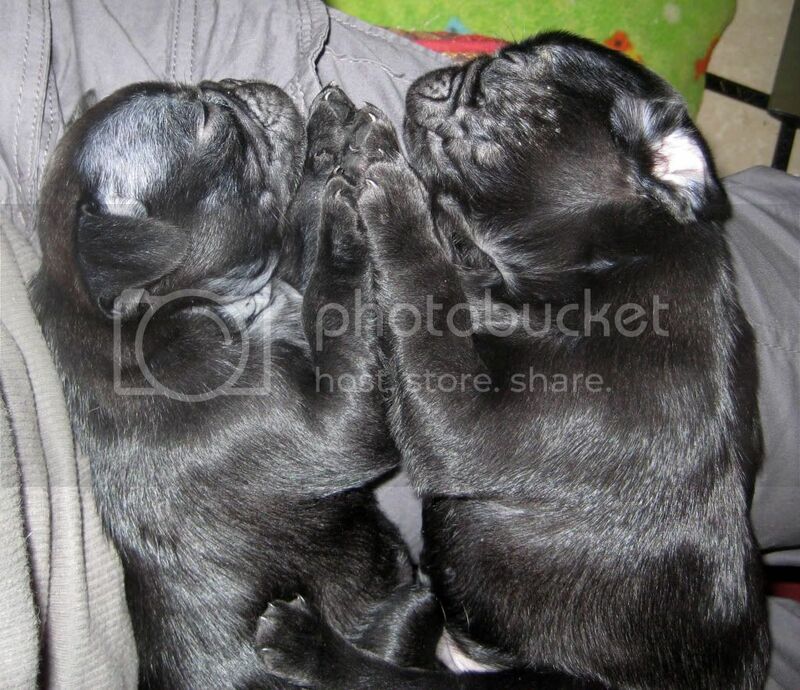 The black ones don't have the undercoat the fawn ones do so so much less hair, my sisters fawn pugs omg they shed like huskies! If you could guarantee I'd have a group of local friends to go buggin' with every other night, on account of owning a pug, I supposed I'd bite the bullet! Now THAT was the BEST pro-dog argument I have ever heard, or ever will hear! so cute!!! very adorable! are they really cannabalistic? Andy that is one cute pup you go there!!! Puggles act just like pugs and I LOVE that LOL . Totally cute! These guys remind me so much of my little Brussels Griffon, Archimedes. 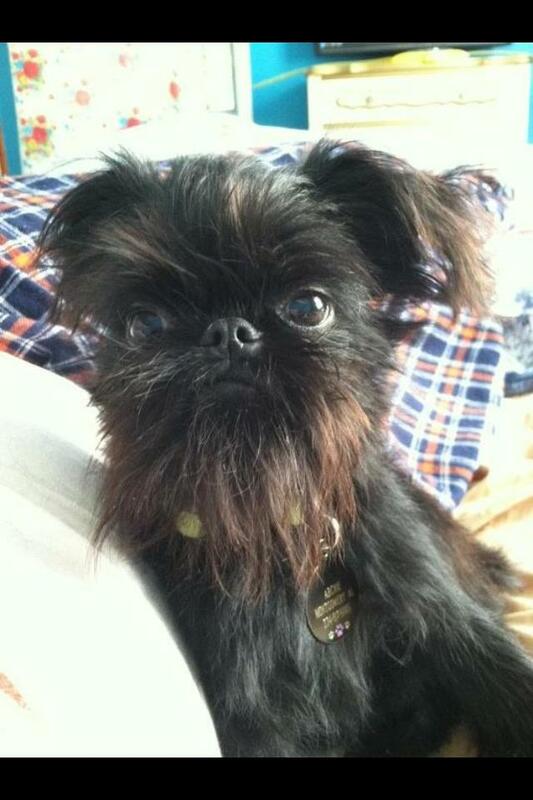 He's a bearded version of a black pug!